Four people were killed and 18 wounded, on Friday 01/29/2016, when a suicide bomber attacked a mosque in Saudi Arabia’s eastern governorate of al-Ahsa, a Saudi interior ministry spokesman said. 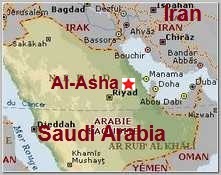 The Eastern provinces of Saudi Arabia has a large Shia minority population. Saudi authorities prevented two suicide bombers from entering Imam Rida Mosque in Mahasen neighborhood in al-Ahsa region during Friday prayers, the state-owned Saudi Press Agency (SPA) reported, citing a statement by the ministry’s spokesman. “When security men stopped them, one blew himself up at the entrance of the mosque and there was an exchange of fire with the other. He was wounded and arrested wearing an explosive belt,” the spokesman said.